As a part of the Hive Interoperability and Portability Coalition (HIPC), ForAllRubrics has been working along with Iridescent, Chicago City of Learning, Youtopia, Chicago Architecture Foundation and Chicago Hive to improve the interoperability between learning platforms. 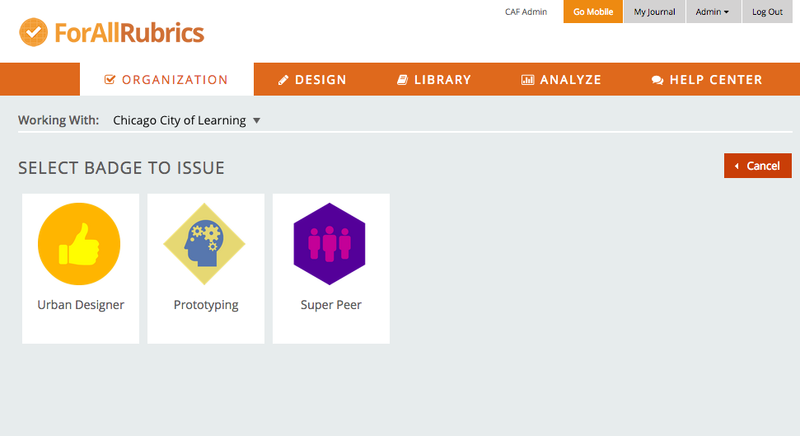 Last week we completed one of goals in the HIPC project by making it possible for organizations to issue badges to the Chicago City of Learning using the ForAllRubrics Badging Platform (which includes the ForAllBadges Mobile App available on AppStore, Google Play and the Firefox Marketplace). 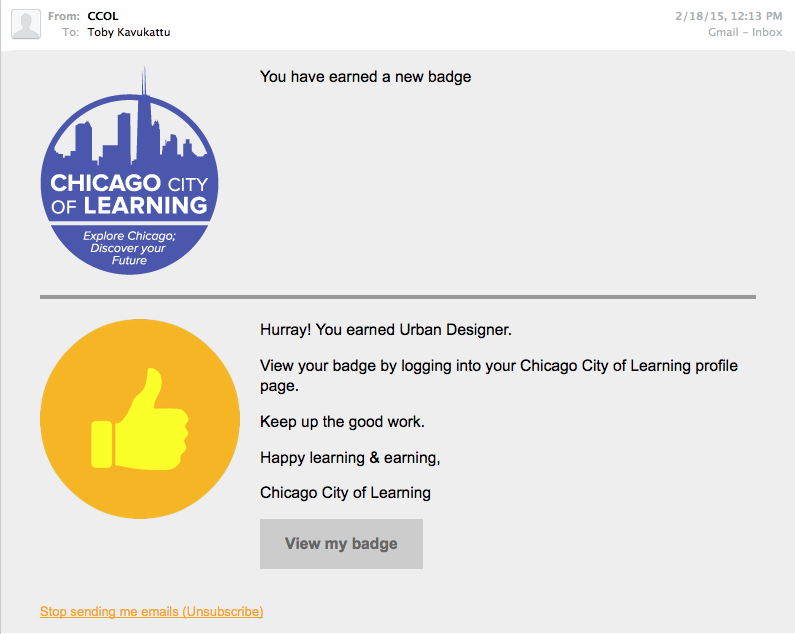 This blog post will walk through how the Chicago Architecture Foundation can now issue badges from ForAllRubrics to the Chicago City of Learning. 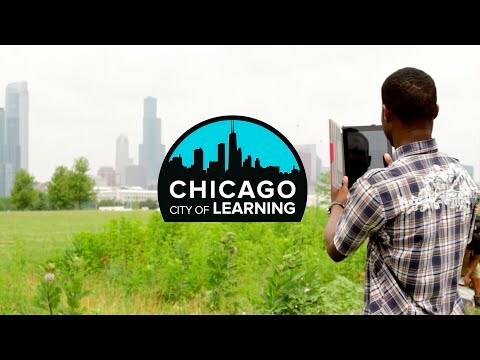 Now that the Chicago Architecture Foundation (CAF) has given permission on the Chicago City of Learning for ForAllRubrics to access their account, CAF users can access their Chicago City of Learning Badges on ForAllRubrics. 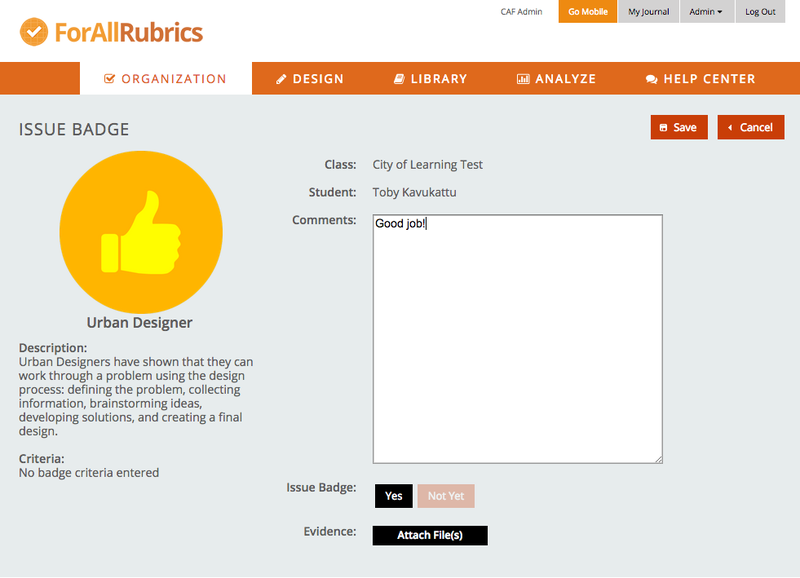 CAF users can issue badges on ForAllRubrics to learners participating in their programs. 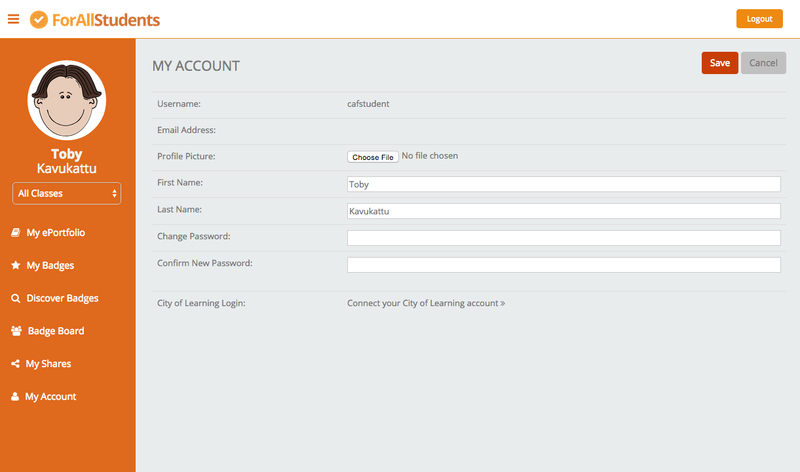 Learners can connect their ForAllRubrics account to their Chicago City of Learning account. And the badges issued via ForAllRubrics are available on the Chicago City of Learning!